York Drama’s spring musical is one of the most well-attended events at York, packing the auditorium for four nights each year. But what everyone doesn’t know is that preparation for the show begins months beforehand. 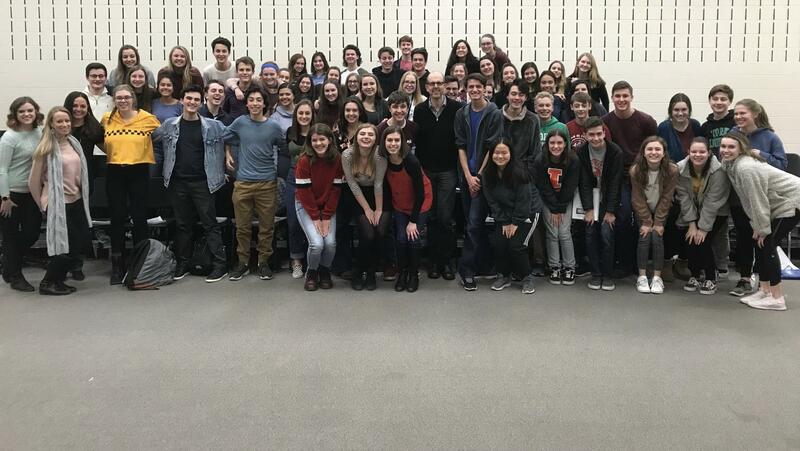 This past Wednesday and Thursday York Drama students had the opportunity to work with an original cast member of this year’s Spring Musical, “Bright Star”. Jeff Blumenkrantz, who played Daryl in the Broadway production and the national tour, is an accomplished actor both on stage and on screen. Beyond “Bright Star”, he has starred in the original cast of “Into the Woods”, as well as popular TV shows such as “Law and Order” and “Will and Grace”. 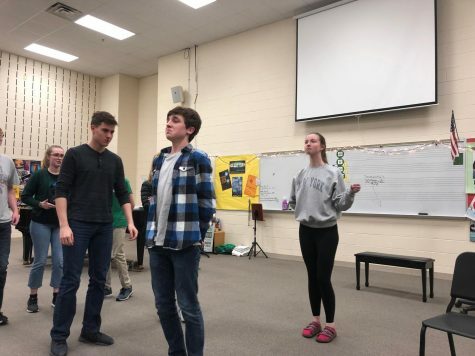 The musical’s director Rebecca Marianetti was excited that her students had the opportunity to work with Blumenkrantz at the beginning of their rehearsal process. With only a handful of rehearsals beforehand, Blumenkrantz arrived to a blank slate. Blumenkrantz was able to work with groups of students during the school day, as well as the whole cast after school in an open workshop. He gave his insight on all aspects of the production, from scenework to the musical numbers. The cast of “Much Ado about Nothing” workshops a scene with Blumenkrantz. The plot of “Bright Star” is based on real events, and this connection was very important to Blumenkrantz. For him, what makes this show special is its sincerity. In addition to working with the cast of “Bright Star”, Blumenkrantz spent time with the cast of the winter play, “Much Ado about Nothing”, and performers from the York Speech team. Speech team co-captain David Hansen had the opportunity to receive feedback on his Original Comedy and Humorous Interpretation performances, as well as his comedic role in the winter play. At the end of the week, York students were left with a wealth of input on both of their productions, and were reminded of how fortunate they are to be in a drama program that connects them to clinicians like Blumenkrantz.